Spend a night on the dance floor rocking out to Rykka, the Vancouver born artist who will be in Ottawa performing songs from her newest album, Kodiak. You might remember her as Christina Maria, but her music’s evolution has prompted more than a name change. Her sound and show is full of hard-hitting rock arrangements and pop melodies. Friday, November 8. 9p.m. $14.50. Shenkman Arts Centre, 245 Centrum Blvd. Clothing lovers lend me your ear! 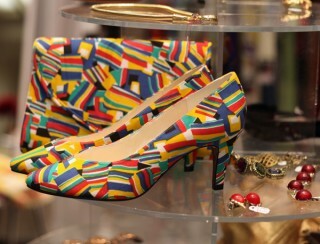 If your passion is retro fashion the Ottawa Vintage Clothing Show will be your ticket to heaven. It’s the largest show of its kind in Canada, with vendors from Montreal, Toronto, Ottawa, and beyond. You’ll be drooling over Hermes scarves, 50s cocktail dresses, and to-die-for costume jewelry. Sunday, November 10. 10 a.m. to 5 p.m. $10. The Ottawa Convention Centre, third floor, 55 Colonel By Dr.
Find vintage shoes and accessories at the Ottawa Vintage Clothing Show. Two-time CFMA winners and JUNO nominees, the Sultans of String will release their newest CD, Symphony! 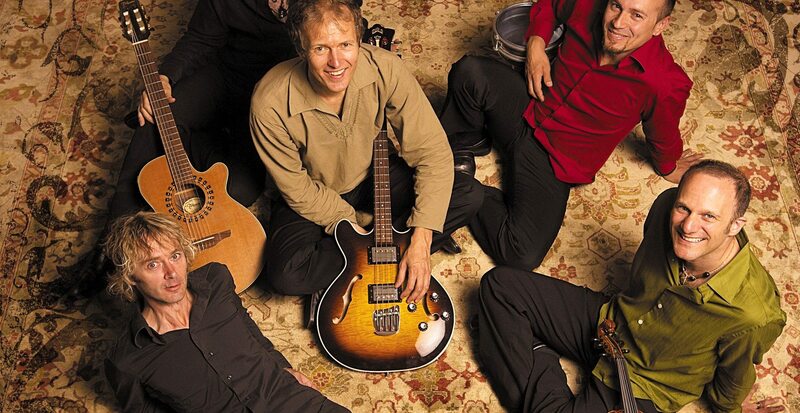 With their unique sound that combines fiery violin, rumba-flamenca guitar, and funky bass, the Sultans of String will take you on a journey from an East Coast kitchen party to the gypsy-jazz coffeehouses of Eastern Europe. Sunday, November 10. 4:20 p.m. $12. The Black Sheep Inn, 753 Riverside Dr., Wakefield. The Phoenix Players return to Ottawa with their newest production about two elderly women who get bored with their evening Jane Austen book club meetings and decide to manage a young boxer instead. Hilarious, heartwarming, and not to be missed. Thursday, November 7 to Saturday, November 16. See website for times. Adults $18, Students/Seniors $15, donations accepted. The Gladstone Theatre, 910 Gladstone Street. 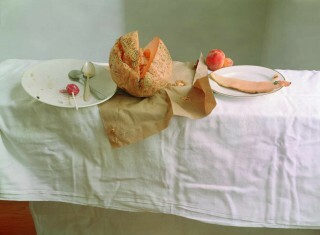 The Carleton University Art Gallery invites guests to an afternoon of public dialogue with art writer Penny Cousineau-Levine and photographer Laura Letinsky. Held in conjunction with CUAG’s current exhibition, Laura Letinsky: Still Life Photographs 1997-2012, the discussion will centre on Letinsky’s illustrious career and remarkable photographs. Saturday, November 9. 2 p.m. Free Admission and $3 (flat rate) parking. Carleton University Art Gallery, St. Patrick’s Building, Carleton University, 1125 Colonel By Dr.
Join the AOE Arts Council at their annual fundraiser. The Arts Council of East Ottawa represents over 20,000 members in its efforts to promote, support, and develop the arts in Ottawa. On Thursday, five local artists will illuminate the event with their works while DJ Emily Jones drops beats. Indulge in the wine and cheese, peruse the silent auction, or sip on a signature ARTinis 2013 cocktail, all for a great cause. Thursday, November 7. 6:30p.m. $75/$375 for a group (6 tickets). Shenkman Arts Centre, 245 Centrum Blvd. Polish film and food. Really, what more could you ask for on a Friday night? The Young Polish Canadian Professionals Association presents a two-day film festival featuring contemporary Polish films with English subtitles. The event, organized in association with Polish Art Europe and the Embassy of the Republic of Poland, also features an exhibition of original Polish film posters and a reception with Polish food (yum). Wednesday, November 6 and Friday, November 8. 7 p.m. $12 for one night or$20 for both. National Archives of Canada, 395 Wellington St.